The Saturday Sampler March 24th edition once again spans the globe to bring you nine sizzling new tunes. From England, Ireland, Netherlands, South Africa, and the USA, this playlist is full of sonic treasures for you to explore this weekend. We kick things off with an absolute banger from an emerging Irish band destined for greatness. 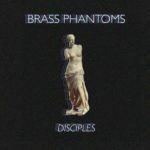 Dubliners Ryan Cashell, James Geraghty, Greg Whelan, and Adam McCabe have wowed us in the past with their anthemic indie rock outfit Brass Phantoms. We already likened them to a young Foals when they shared “Waiting Up” last spring. They take an even bigger leap forward to validating the comparisons with “Disciples”. Like the very best of Foals, you need to strap yourself in to keep from jumping out of your seat when listening to this explosive number. The song commences with a slight bang, introducing us to the dark and suspenseful world the quartet have created. As the rhythms throb hard and the My Bloody Valentine-esque reverb guitars chime in the background, Cashell’s brooding voice weaves a magical tale of an underground cult that has been abandoned by its leader. But this cult could be us – the people – who have eaten up all the false prophecies and promises. As the song gradually intensifies, the lyrics become harsher and let us know we’ve been left behind. The overall experience is exhilarating and unforgettable, and it has us praising Brass Phantoms as Ireland’s next great indie band. With each song, Diamond Thug‘s star shines more brightly and pulls more people into their orbit. After a successful trip to SXSW earlier this month their popularity is soaring. Now they’re setting their sights for more ambitious places. Or maybe they’re heading to distant galaxies because their newest single is something meant for space. The word “Sapphire” may evoke brilliant blues and sparkling glimmers, but the South African quartet take us beyond the stratosphere and on a ride through the deep blackness unseen to most of the world. It’s tantalizing and mysterious but also hypnotic and quietly beautiful with the soft strums of the guitar, the feathery touches of the drums, and Chantel Van T’s enchanting vocals. 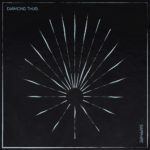 To truly experience this song, head outside and look up into the sky at dusk, then let Diamond Thug show you the stars in a way you have not seen them before. Diamond Thug’s debut album, Apastron, makes impact on April 6th via their own label Kudukudu. Pre-orders are available here. The band are Chantel Van T (vocals/keys), Danilo Queiros (bass/production), Adrian Culhane (guitar/synth/backing vocals/production), and Ted Buxton (drums). Song for a summer sunset: that could have been the title of this new one from dream-pop masters The Dig, because of its rich golden aura. The warm surf tones of “Soul of the Night” remind us why we can’t get enough of these guys. The Los Angeles-based four piece channel multiple genres here – from the mild psychedelia of The Beatles and sun-kissed tones of the Beach Boys to the modern pop of Nada Surf and the depth of War on Drugs – yet still sound completely original. Every song they create has kaleidoscopic elements that you cannot absorb in just one listen. Our advice? Keep this one on repeat for a while and you’ll be dazzled by the intricacies of the layers. Thirty years ago, Pink Floyd sang on “Learning to Fly” about blowing “this soul right through the roof of the night.” Now The Dig are showing us the view from beyond that roof. It’s a blanket of stars that twinkle in time with this song’s baroque keys and dream-inducing harmonies. It’s a place ideal for dreams and visions. All you have to do is queue up this tune and your soul will take flight. 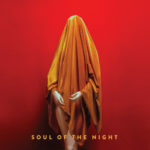 “Soul of the Night” is from the band’s continually expanding Spotify playlist called “El Dig: A Year of Music.” It will include all twelve tracks from their two upcoming EPs, Moonlight Baby and Afternoon with Caroline. This single is out now on iTunes via Roll Call Records. Every Saturday night needs some groovy, funky music. You need songs that make you want to put on your best outfit and cut the rug. You don’t even need to leave the house because when a song like “If You Cannot Talk” has all the ingredients for a good time, you just need to call your friends over. 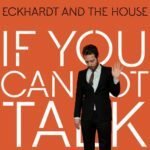 With the cool pop melodies of COIN and The 1975 and the funkalicious vibes of CHROMEO, Eckhardt And The House deliver one steamy, sumptuous single. You’ll be grooving, shimmying, and having a blast. But like all great dance tunes, this one is also great on a road trip playlist, preferably in a convertible with the top down so you can enjoy the cool breezes. 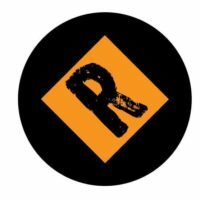 Speaking of trip, Rik Elstgeest – an producer, singer, multi-instrumentalist, actor, and the man behind Eckhardt and The House – tells the tale of a young girl listening to her MP3 or phone while on a long-distance bus ride. Hopefully she has this song listed as one of her favorites. The single is out on Amsterdam-based indie label TCBYML. By the way, this is Elstgeest’s debut single. 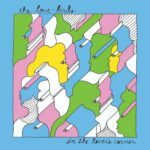 “There’s nothing to see” is the repeated refrain on this jangly garage pop-rock offering from San Francisco band The Love-Birds.They might think there isn’t much to see, but there is plenty to hear and feel on their “Kiss and Tell,” the lead single from their debut album, In the Lover’s Corner. What you hear first is indie rock steeped in vintage inspirations: echoes of The Byrds meld seamlessly with elements of early Wilco and whispers of Paul Westerberg. The Love-Birds aren’t a reinvention of The Replacements by any means, though they do have that mid-’90s era garage rock purity that values straightforward substance over flashy production. These guys stick to the basics here, with perfect results: “Kiss and Tell” has tight instrumentation that leaves you with a sense of nostalgia. You may find yourself thinking, “Yeah, this takes me back to the days when indie rock’s glory days.” Those days were when we were hungover from grunge and needed to get back to basics with no-fuss indie rock. And just like The Replacements and Wilco then, The Love-Birds now give us music that refreshes like a cold craft beer on a hot summer day. Look for In the Lover’s Corner when it arrives May 25th from Trouble in Mind Records. You can pre-order it here. Momentum can be an unstoppable force. We’ve all heard about the snowball rolling down the mountain to create an avalanche or the hurtling train. Someone needs to come up with a phrase for Mating Ritual, which is the project of brothers Ryan Marshall and Taylor Lawhon and who are riding a massive wave of buzz as their sophomore album, Light Myself On Fire, draws near (comes out May 4th to be exact). 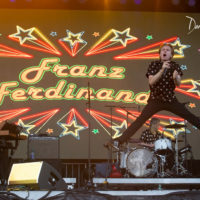 The duo have already shared one song – “Splitting in Two” – and yesterday they unveiled the second single. “Heaven’s Lonely” is another banger of an electro-rock tune. It’s bold, edgy, and anthemic, making it the perfect tune to wake up to on this lazy Saturday morning and to get you ready for the night out. Each element is superbly orchestrated – from the heavy beats and drums to the humming synths to the wailing of the guitar – creating the ideal canvas for the Lawhon’s story of wanting to “feel right again” and getting over the loss of someone. 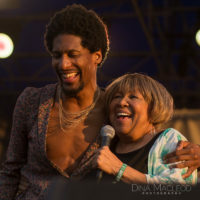 Whether the song’s title is meant to be a round-about way to tell someone to get lost or is actual term of endearment is unclear, but either interpretation (and there are likely others) depicts the cleverness in the duo’s lyrics. 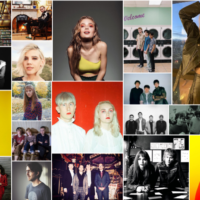 Rainbow Kitten Surprise have been on most indie music fan’s radar screen for a little while. 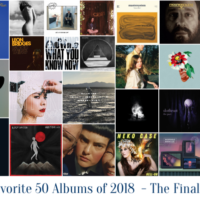 In a few weeks time and for the rest of the year, they could become everyone’s favorite Americana and indie-folk band in much the same way Nathaniel Rateliff & The Night Sweats exploded two years ago and before them Edward Sharpe and The Magnetic Zeros. 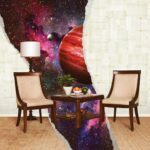 On April 6th specifically, their debut album, How to: Friend, Love, Freefall, will be released on ELEKTRA. To get build the excitement, they’ve shared a fun little tune in “Hide”. “Hide” isn’t your typical Americana / indie-folk song, where there aren’t any of the hand-clapping or the “ooh ooh oohs” that have to dominate the genres of late. Instead, there’s an oft-kilter vibe that is borderline euphoric, and it perfectly complements the playful lyrics about love and a cheating heart. Hmm… this could be the ideal pick-me up tune not to mention one perfect for the Fort Stage at Newport Folk Festival. Rainbow Kitten Surprise are Samuel Melo, Darrick “Bozzy” Keller, Ethan Goodpaster, Jess Haney, and Charlie Holt. We have yet another debut single, but this one comes from a pair of 19-year olds. 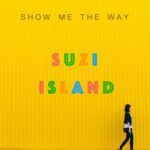 Yeah, Hugh Reilly-Smith and Matthew Carter are still teenagers, and you’ll quickly become fans of their project Suzi Island after hearing “Show Me the Way”. We have no idea what kids say these, but back in the day for us we would say this song is “the bomb!” Like Portugal. The Man when they first broke out, the track is smart, fun, and exhilarating. The sheer joy that shoots out of the track is like the sound of a kid entering the biggest candy store on Earth. At every second and every corner, there is a treat waiting to be found. Something sweet, something delicious, something memorable. These two are going places (and hopefully it’s the top of the Billboard charts instead of another candy store – or arcade as the song talks about video games). Finally this weekend we bring you something new from a band whose sound is at odds with their geography. When you hear “Baby Sounds” from indie synth wave project Vandal Moon, you assume they’re from London. But no, the duo of Blake Voss and Jeremy Einsiedler hail from sunny California. Although the band may not be a household name yet, their forthcoming album Wild Insane is arriving at a perfect time. 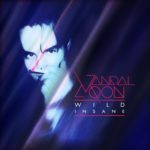 The world we live in is both wild and insane, and Vandal Moon’s music harkens back to another equally insane time: the Cold War-era when New Wave and goth sounds converged on our airwaves. So how perfect is it that we have this brooding, synth-driven track to distract us from insane world leaders and the constant barrage of bad news on our televisions? “Baby Sounds” has an authentic retro sound that will appeal to fans of Gary Numan, The Cure, and Psychedelic Furs. We’re not sure how Vandal Moon have escaped our noticed since their inception six years ago, but we’re too busy being entranced by “Baby Sounds” to dwell on it. Now we’re looking forward to what other sonic delights are in store on the album. Wild Insane releases April 20 via Starfield Music with pre-orders at Bandcamp. You can also get the darker FM Attack remix version of this song on Bandcamp. Vandal Moon are Blake Voss (vocals, lyrics, guitars, asynths) and Jeremy Einsiedler (synths and drum machines).